Supplier & Manufacturer of Non Asbestos Beater Gaskets. Our product range also comprises of Industrial Gaskets, Shims and Rubber Cork Sheets. 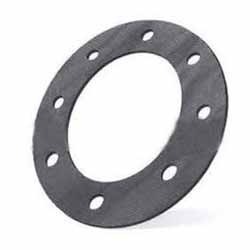 We are the manufacturer of Non Asbestos Beater (NAB) Gaskets which are made up of high quality of raw material and are available at industry leading price. Looking for Non Asbestos Beater Gaskets ?